November 4, 2007 - Make sure you like EcoJoes on Facebook to stay updated on green ways to save money and help the environment. Just click the "like" button below. Muchas gracias! I passed rotch by the shopping carts, and just went straight to filling my cloth bag with some groceries. This was good, since I just could go straight to the food. Of course, I wasn’t getting too much stuff, but if you are, you might want to use that shopping cart. I was downright dumbfounded when I dared to discern the depth of the dapper cloth bag. I fit pretty much all the groceries I bought into it, making it easier to carry them all to the car and into mi casa. The only groceries I didn’t put into the bag were the ones that already came in a bag (a bag o’ apples). So the reusable cloth bag’s big volume was a definite advantage over plastic or paper bags. I would’ve used two or three plastic or paper bags today, but instead I just used one reusable cloth bag. The paper or plastic bags would’ve ended up taking up more room inside my house, but Mr. Cloth Bag just sits in the car, awaiting another mission to the grocery store. This is what causes most people to choose reusable cloth bags over flimsy, disposable paper or plastic bags. Yes, it took some ink (and chemicals) to make my cloth bag, but now that I am reusing it again and again, that can be a sunk cost. If I was to continue to use paper and plastic bags, each one would have a double environmental impact; the considerable chemicals used in their production, plus the impact of their disposal, whether it’s in a landfill, or disposed by burning it. Using a reusable cloth bag seems to be the way to go. It’s a tiny difference that everyone can easily make, and instead of being a sacrifice they have to make, it’ll actually give them the same benefits that I enjoyed today. So be cool, and use (and reuse) that cloth bag with pride. Oh yeah, I got my reusable cloth bag for free. So they’re not too expensive. Posted in green living, paper, plastic, reusing	on Sunday, November 4th, 2007 at 1:24 AM. Great experience with the bag has described in this post. 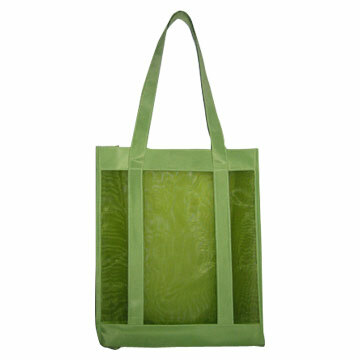 It is the fantastic matter to me that the reusable bag for free and not too expensive. Montreal International Clinic is a renowned name for Veneers Dubai. The process is easy and takes only two visits. So get your teeth in the best shape with us at https://montrealintclinic.com/dentistry/aesthetic… with a free consultation.